Build your New Home in Franklin County Country Club Estates with an 18-hole golf course and country club established in 1924 just minutes from your door step and access by cart path from the subdivision. Concrete streets and all lots over 1/2-acre. 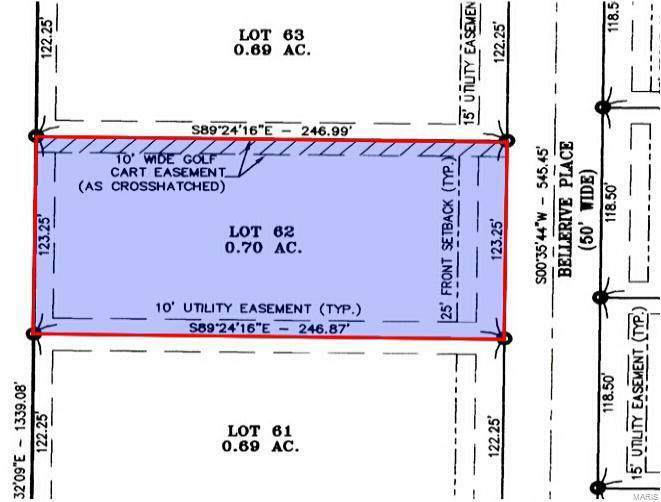 This lot has a 2,500 sq ft minimum for a ranch style. Your dream home with the perfect yard is waiting for you! Listing provided courtesy of Re/Max Gold First. Listing information © 2019 Mid America Regional Information Systems, Inc.